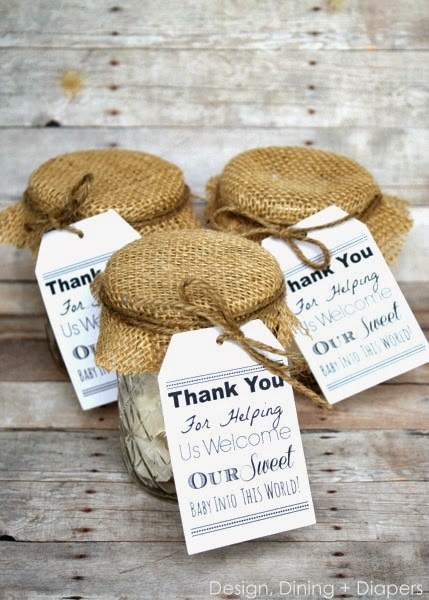 A Loving Birth: Fifteen things great L&D nurses do, or avoid, in natural births. Fifteen things great L&D nurses do, or avoid, in natural births. 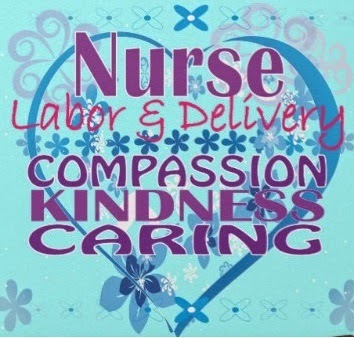 Many L&D nurses are very knowledgeable and respectful, a great support for moms and a pleasure to be around. Here are some things nurses do, or avoid, to make a mother’s experience all that more positive. 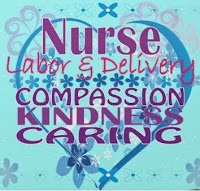 Thankful for the amazing nurses that have been and are supportive of mothers in labor with a desire for natural birth. 1. Support the mom. Supporting the mother’s wishes is very important for the positive progress of labor. On the other hand it is great when we know our own limits and comfort zone. So it is very thoughtful when a nurse doesn’t feel comfortable or supportive of a mom and her birth choices, that she ask for another nurse that prefers natural births to switch with. Moms pick up on those vibes and although some may have the courage or mindset to ask for another nurse others may not. 2. The myth that natural birth plans are a curse for a c-section. It is well known that some L&D nurses when seeing a natural birth plan will think it is just a matter of time before it ends in a c-section. Those thoughts alone can really affect and derail a mother’s chances of natural birth. Supportive nurses check those feeling at the door. 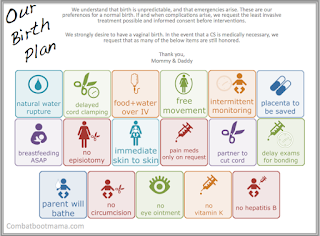 It is normal that mothers with natural birth plans that end up having a c-section stand out more than others, specifically because of their strong wishes for a natural birth. 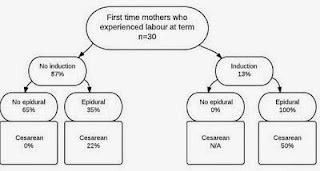 However, in the US the c-section rate is 1/3, and in some states and hospitals over 50%, so unfortunately it is very likely that a mother will end up with a c-section, not because of her birth plan but because of unnecessary interventions. Another reason to respect a mother’s birth plan. Supportive nurses respect that birth plan, or if a deviation needs to be made, explains why beforehand; most moms will be flexible if a true need arises. 3. Don’t come in the room unless absolutely necessary. Moms know nurses have a job to do and will be glad to help things go smoothly, but there aren’t too many things as disruptive to a natural birth as the constant checking, monitoring, and above all controlling or even just watching. Nurses that don’t have a good reason to come in, don’t, and when they do they knock, keep the voice calm and soft, don’t talk amongst themselves, don’t talk to mom during contractions and keep the lighting as low as possible, if more lighting is needed they ask the mom if that is okay with her. They offer encouraging and supportive words (usually between contractions) which are always welcome, those are the best kind. 4. Don’t linger. Just like not coming in unless absolutely necessary, they don’t stay unless absolutely necessary, one of the things that can slow labor down is for a woman to feel watched or judged. However, if the mother doesn’t have a doula (or even if she does) and a nurse feels she could use more emotional and physical support that is always a wonderful thing for a nurse to do (of course if time permits). follow protocol respectful nurses will not continually insist on protocol; they share their training and the protocol requirements and then listen to what the mother is telling her. If the mother wants to go against protocol by making an informed decision, she has the right to informed refusal (and informed consent) so it is wonderful when that is respected by telling her she is understood and that her wishes and her decision respected and noted in her chart. 6. Don’t ask pain level or offer an epidural. The mother doesn’t need to be reminded about the intensity of her contractions or have to interpret or quantify her contractions, letting her experience it as she is. 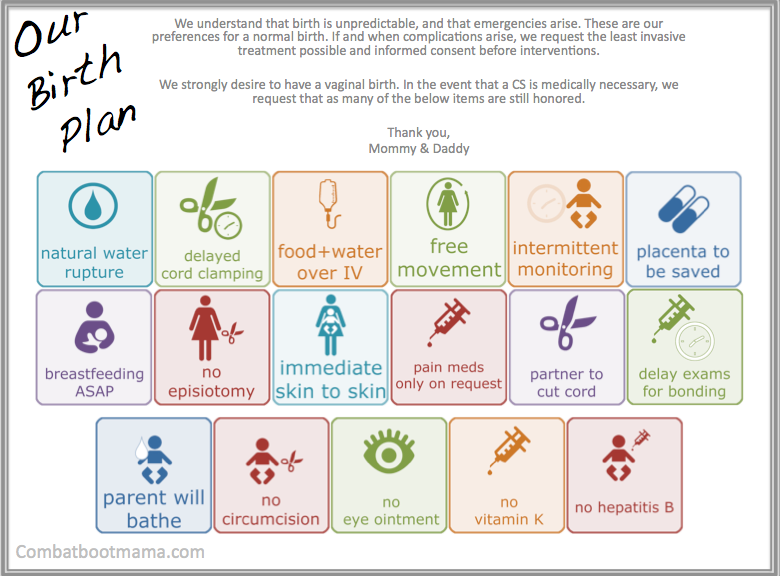 Also, mothers who want a natural birth are very aware they have the option to receive an epidural (and other coping techniques and medications), they will ask for one if they want one. 8. Positions. Encourage a mother to be in any position she chooses. No one should ever tell a mother what position to get into, if labor is evolving favorably and the mother is listening to her instincts she will get into the position that is most beneficial and comfortable for her. Some nurses tell the mother to lie down in preparation for the OBs or Midwife’s arrival; if the Midwife or OB requests that the mother adopts a certain position the mother should do so only if she chooses. Supportive nurses don't tell the mother in what position to get into in preparation for or when pushing, again if the mother is supported and the labor is progressing adequately the mother should be encouraged to listen to her instincts and get into the position she chooses. 9. Pushing. Encourage the mother to listen to her body, push instinctively without direction. Nurses respectful of natural birth don’t tell a mother how or when to push. No: “Deep breath, count to 10, push, push, push!”, that is purple pushing and not only unnecessary but harmful. The mother should not be “actively” pushing at all, her contractions will be doing the necessary work to help birth the baby. It is a common misconception that a mother needs to push in order to birth her baby, her body will automatically be helping the baby down and out. 10.The baby is being born and the OB or Midwife has not arrived yet. Sometimes babies come out very fast, before there is a chance to notify the OB or Midwife, or while they are on their way. Gentle nurses tell mom to listen to her body, encourage her to catch her own baby and be prepared to help her if needed, making sure baby does immediate skin to skin, and that the cord remains intact. Keep calm, help is right there and everything is going as it should. So they don't need tell mom to stop, to not push, and don’t put their hands on the baby’s head to keep him/her from being born. 11. Be the mother’s advocate. Unfortunately many nurses are often witnesses to obstetrical violence. It is a hard line to walk between doing what is right for the mother and doing what their job requires (this often happens to doulas too). It is best to err on the side of the mother; it is better to do what you know is right than to silently sit by and allow the mother to suffer unnecessarily (i.e. unnecessary episiotomies, fundal pressure, purple pushing, mothers forced into positions they don’t want to get into, talking down to a mother, etc.). What is helpful is to encourage the mother (or her partner) to find her voice so that she can speak up for what she wants, deserves and is her right. a wonderful opportunity to make a positive, lasting impression. 13. The golden hour. 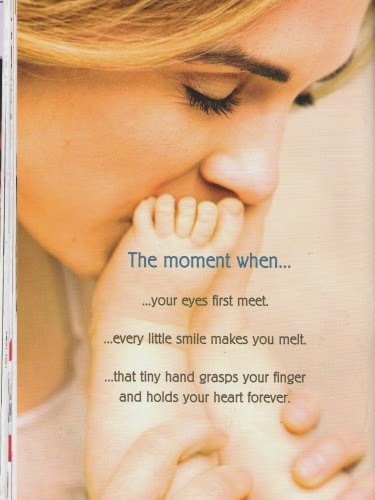 The first hour or two after birth is extremely important, it is when the maternal newborn bonding occurs and is strongest. The golden hour starts as soon as the baby is born, when the baby should be placed immediately on the mother’s chest as the cord pulses out (without being clamped until after the delivery of the placenta), no suction is needed, no hat is needed. All the baby and mother needs is the closeness and the opportunity for eye contact, skin to skin, breastfeeding and bonding. Eye ointments, vitamin k, weighing, measuring and bathing can all wait until after this golden hour or longer, and should only done if the mother chooses. 14. Latest research and recommendations. It is very important to continue reading up and educating ourselves on the current recommendations for birth. It often takes too long for science to back what we already instinctively know, and finally be pushed down the pipeline to be implemented. So it is wise to be ahead of the game and be informed. If a mother comes in requesting something a nurse has never heard of or understands, what a great opportunity to learn something new by looking it up, chances are there is good science behind it. 15. 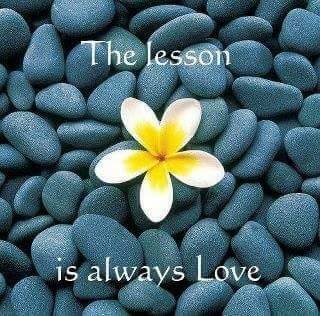 The lesson is always love. In the end all that matters it to treat others with respect and love in everything we do. Birth is one of the most important times to practice that lesson so that we may welcome babies into this world with love and help the mother in her transformation.